Open access repository for research. COnnecting REpositories (CORE) facilitates access and navigation to relevant scientific papers stored in UK open access repositories. 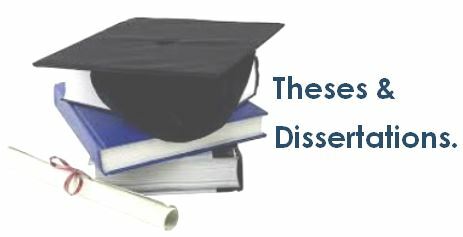 Database of African Theses and Dissertations containing citations and abstracts for dissertations completed in African universities. To search and access the brief citations, you must first register at the site and then login. The primary function of Dissertation.com is to provide students, researchers, and the general public with low cost access to important academic work. Publications are made easily accessible on-line and through thousands of booksellers, reducing the cost of acquisition and speeding delivery to those interested. An international database of bibliographic records for completed dissertations and new dissertation topics in the fields of musicology, music theory, and ethnomusicology, as well as in related musical, scientific, and humanistic disciplines; contains more than 12,000 records, including the contents of the earlier printed editions of Doctoral Dissertations in Musicology and supplements contributed from musicological centers throughout the world. UKZN theses are listed first in the results. The General Rules of the University require every post-graduate student to submit two final, corrected copies of their dissertation, research report or thesis in a printed format as well as a final, corrected copy in electronic format. UKZN is digitising its theses starting with the most recent ones and working backwards so a free pdf copy is available. 1. The digitised theses are available on ResearchSpace and a thesis can be searched for via author, title, date, and community. It is best to access Research Space via FireFox. 2. All theses are also listed in the iCatalogue in World Cat Local with a URL link to the full text. 3. ResearchSpace also provides links to sites that deal with publisher copyright policies. 4. Theses can also be traced via Google. Provides an index to all Masters and PhD theses completed in South Africa since 1918. This is the most comprehensive index to South African theses. If you want to see if the full text of a thesis is available, you will have to go to the library website of the institution through which the thesis was completed. Denise Nicholson of Wits Library has put together a useful guide of those South African institutions digitising academic materials inclusive of theses as well as a list of some international collections. Google and Google Scholar will also list theses in results.